William Bumberry, is a licensed clinical psychologist with more than 25 years experience working with couples. He has been with the Gottman Institute for more than a decade and is a Senior Certified Gottman Method Trainer and Consultant. In addition to being an active member of TGI’s Speaker Bureau, Dr. Bumberry serves as a consultant to clinicians seeking certification and is a Video Reviewer for the final step of the certification process. He is certified to present all three levels of the Gottman Method training sequence, as well as the Art & Science of Love workshop. 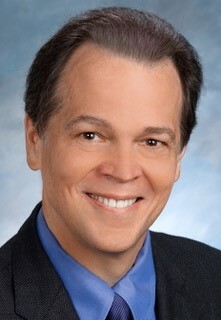 Dr. Bumberry is a member of the American Psychological Association and is an Adjunct Professor in the Department of Psychology at St. Louis University.Since becoming a certified trainer for the Gottman Institute, Dr. Bumberry has presented Gottman professional trainings, as well as offering talks to the public throughout the U.S. and abroad. He is an experienced, clear, energetic speaker with the ability to present complicated material in a practical, easy to use manner. Dr. Bumberry is passionate about helping clinicians bring the Gottman Method into their life’s work and making the world a better place, one couple at a time. His presentations are highlighted by a blend of humor, creativity and accessibility. In addition to his expertise in the Gottman Method, Dr. Bumberry integrates Emotionally Focused Therapy into his work and teaching. Over the course of his career he has worked with many of the pioneers of the Family Therapy/Systems Therapy world. For many years he worked closely with Dr. Carl Whitaker. He is co-author of Dancing with the Family: A Symbolic-Experiential Approach, A Different Kind of Caring (videotape) and Reshaping Family Relationships: The Symbolic Therapy of Carl Whitaker. Through videotaped cases of real couples, hands-on role plays, demonstrations of assessments and interventions, and nuanced discussion of technique, the Level 3 Practicum in New York, NY significantly expands your understanding of when and how to use Gottman Method approaches. This is the first step in learning Gottman Method Couples Therapy. A truly inspiring workshop, Level 1 Training in London, England will give you new insights into treatment for couples who struggle, using research-based assessments and effective interventions. Through videotaped cases of real couples, hands-on role plays, demonstrations of assessments and interventions, and nuanced discussion of technique, the Level 3 Practicum in San Diego, California significantly expands your understanding of when and how to use Gottman Method approaches. Based on over 40 years of research with thousands of couples, this workshop in San Diego, California will give you new insights and research-based skills that can dramatically improve the intimacy and friendship in your relationship and help you manage conflict in a healthy, positive way. Through videotaped cases of real couples, hands-on role plays, demonstrations of assessments and interventions, and nuanced discussion of technique, the Level 3 Practicum in St. Louis, Missouri significantly expands your understanding of when and how to use Gottman Method approaches. Through videotaped cases of real couples, hands-on role plays, demonstrations of assessments and interventions, and nuanced discussion of technique, the Level 3 Practicum in Tampa, FL significantly expands your understanding of when and how to use Gottman Method approaches. Through videotaped cases of real couples, hands-on role plays, demonstrations of assessments and interventions, and nuanced discussion of technique, the Level 3 Practicum in Seattle, WA significantly expands your understanding of when and how to use Gottman Method approaches.